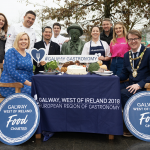 The two-day international food symposium Food On The Edge 2018 concluded in Galway this evening on Tuesday the 23rd of October. More than 600 people attended over the two days of Food On The Edge, which was held in the National University of Ireland, Galway. More than 50 of the world’s best international and Irish chefs and food leaders took to the stage to share their food stories and debate topics, while approximately 70 Irish food producers showcased their produce in the Artisan Food Village. Conversations was the theme of Food On The Edge 2018, and both days of the symposium saw important conversations take place around the challenges and opportunities within the industry, not only on stage but through the connections and meeting of minds. A major theme of Food On The Edge 2018 was Action & Reaction and a number of speakers presented personal stories about how they have been inspired to take action in reaction to issues spoken about in previous years at Food On The Edge. JP McMahon closed the award-winning event by reflecting on the major themes of this year’s Food On The Edge, saying “Over the past two days we spoke about legacy. About where we have come from. That unconscious past that we all have to tap into and understand. 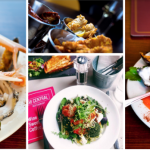 We need to think about the way food culture has been in Ireland and about how we can turn that around and take it and embrace it. And we spoke about where we are going. Children, the institutionalisation of food, what we feed our kids. Education and children is a very important topic and something that is very dear to me. We looked at the value of food in our society, and about what sort of society we are creating. The only way I can describe Food On The Edge is as a chaotic network, you just don’t know who is going to collide with who and what result will come from it.”Gather & Gather is a principal partner of Food On The Edge this year, with Estrella Damm and San Pellegrino returning as major sponsors.